The corrosion behaviour of 6061 Al alloy-SiCp composites (in as cast and extruded form) have been studied in sea water and acid media. The effects of temperature of both the media and concentration of the acid medium were also investigated. The corrosion behaviour was evaluated using electrochemical technique and corroded specimens were examined using scanning electron microscopy. The studies revealed that corrosion damage of composites exposed to sea water medium was mainly localized in contrast to uniform corrosion observed for base alloy. Further, composites were found to corrode faster than the base alloy even though the attack was mainly confined to the interface, resulting in crevices or pits. This could be attributed to the presence of thin layer of reaction product present at the interface acting as an effective cathode which when continuous would increase the cathode to anode ratio enabling higher localized corrosion. 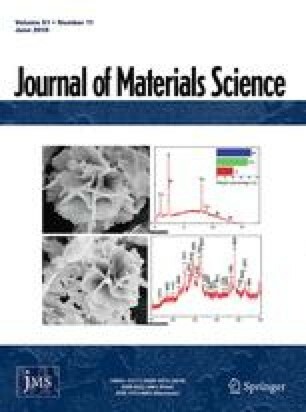 However, the extent of corrosion damage in extruded composites was less possibly due to absence of defects like gas pores in the composites and homogeneity in the distribution of particles. Increase in temperature invariably increased the attack for all the materials studied. This is explained due to the metal dissolution (anodic process) which is governed by the kinetics at that temperature.